North Texas Foot and Ankle (Irving) - Book Appointment Online! If you or a loved one is suffering from foot or ankle pain, visit North Texas Foot and Ankle to address your specific need. We specialize in treatment of all foot and ankle disorders. Our team of board-certified doctors and trained office staff work together to meet your podiatric needs five days a week. 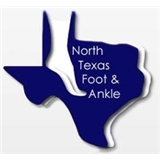 As a private practice, North Texas Foot & Ankle started in 2001. Since then, they have grown to two doctors. Our goal is to provide individualized attention and treatment, as well as to maintain lasting relationships with our patients. Offering a comfortable environment equipped with cutting-edge podiatric technology, we provide treatments for children, adults and seniors. We take immediate and evening appointments and accept most insurance including HMO, PPO and Medicare. Amazing doctor! Very knowledgeable, kind bedside manor. Sweet and gentle!